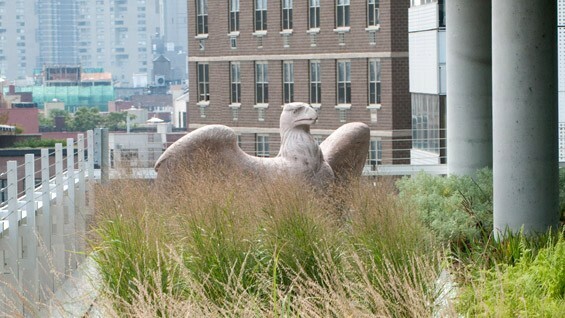 "Cooper Union's Green Roof Catches Rain Water" was a splash feature in the Daily News profiling the green features of 41 Cooper Square, NYC's first LEED Platinum academic building. The article heralded 41 Cooper Square's green roof and reported that it "plays a significant role in the greening of New York City." Jody Grapes, director of facilities management, highlighted the functionality and efficiency of the advanced water system at 41 Cooper Square and how it helps to repurpose waste water and reduce stormwater runoff. Director of the Cooper Union Institute for Sustainable Design and Professor Kevin Bone talked about NYC watersheds and the need for water conservation. To learn more about how 41 Cooper Square saves the college approximately 200,000 gallons of water every year in the Daily News, click here.